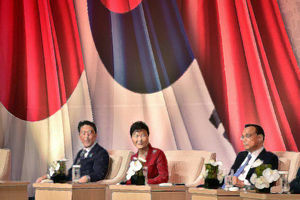 With admirable economic growth; a major power shift in progress; long-standing crises; the second, third, and eleventh of the world’s largest economies; the rivalry between China and Japan; and identity clashes—it is obivous why Northeast Asia is one of the most dynamic regions in world economy and politics. The aim of this course is to introduce and analyze the international relations of Northeast Asia with a focus on China, Japan, and Korea. This course will examine the dynamics of conflict and cooperation, and introduce competing explanations for key issues in East Asia’s international relations. Some of the main questions we will dwell on in the course are: the challenges that Japan and Korea face with the rise of China in the dynamics of both security and economy; ongoing territorial disputes that strongly affect trade and cooperation among the countries in the region; economic rivalry reflected in the dynamics of trade; the experiences of the two financial crises (Asian Financial Crisis and the Global Financial Crisis) and the contest of currencies; U.S. economic and security interests in the region; the two Koreas and the question of unification; the ramifications of leadership changes that have occurred in Northeast Asian nations; and the rivalry between China and Japan, the Japan-South Korea identity clash, and their implications for cooperation or conflict in the wider context of East Asia and international order.